Subway to go! — Geoff Howell Studio Inc. The next stop is…EYE FASHION AVENUE! 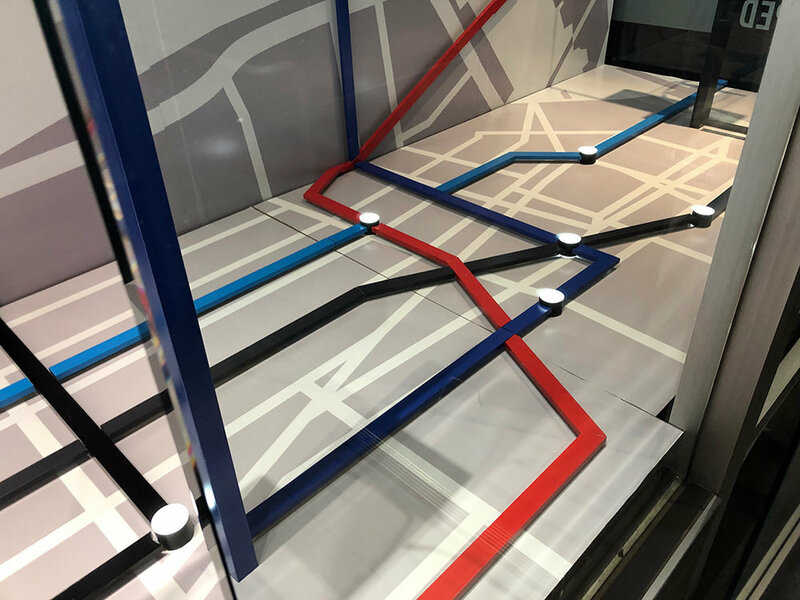 To celebrate Ray-Ban’s latest ‘line’ of fashionable sunglasses, we were asked to create a sculptural subway map-inspired installation, incorporating three dimensional ‘transit’ lines, backlit ‘destinations’ and large format graphics. 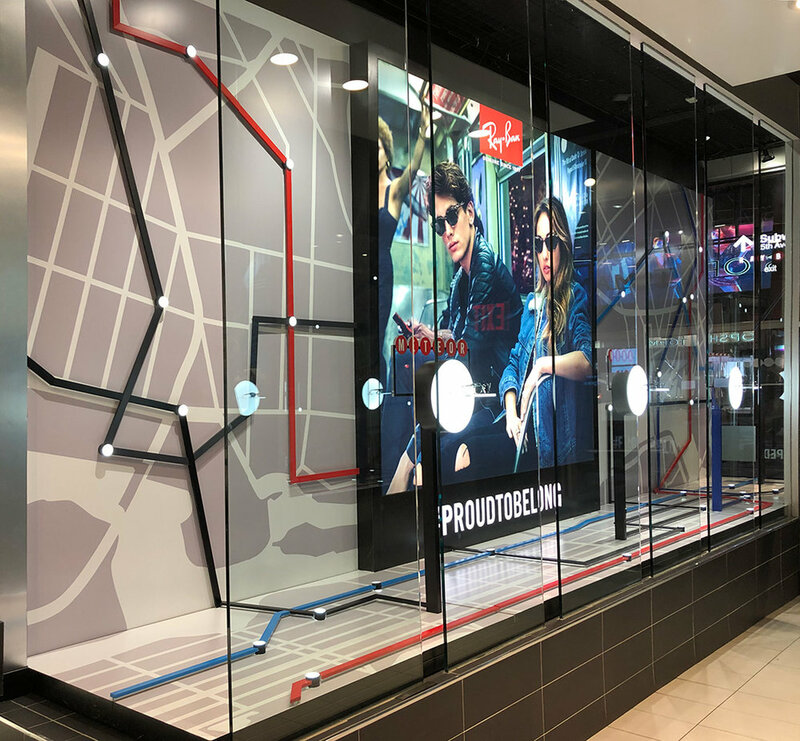 If you look closely you might find your route to this Sunglass Hut flagship at 5th Avenue and 49th st.